John Barr’s Drapery Shop, Buncrana. A FREE seminar on ‘Traditional Shopfronts & Vernacular Signage’ is being held in the Central Library, Letterkenny next month. The event has been organised by County Donegal Heritage Office, Donegal County Council in association with Letterkenny‘Tidy Towns’ Committee and The Heritage Council on Saturday, November 10 as part of the implementation of the County Donegal Heritage Plan. 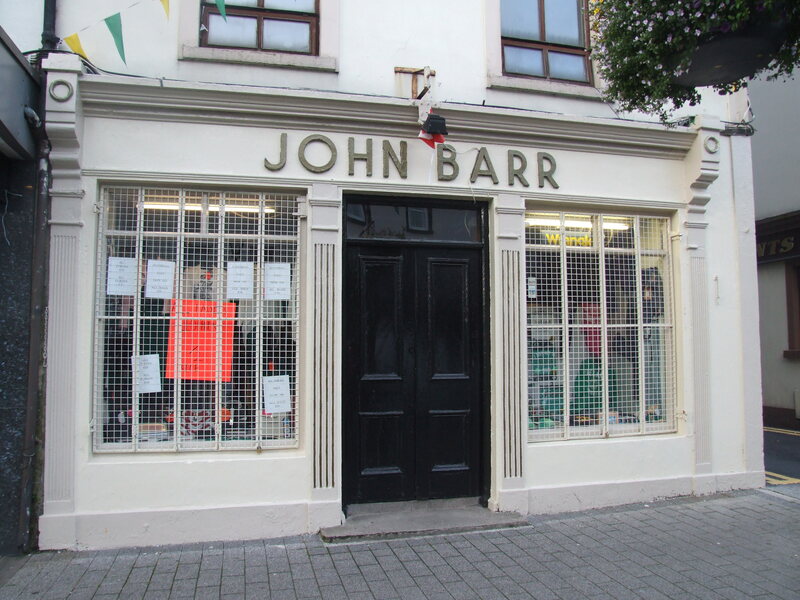 Joseph Gallagher, County Donegal Heritage Officer, said: “Traditional shopfronts have a major impact on the overall character, quality and attractiveness of a place. “At the seminar, the traditional shopfronts of County Donegal will be explored in terms of their character, context, scale and proportion, use of appropriate materials, composition and detailing. “The seminar will draw upon best practice and encourage appropriate, sensitive and informed interventions in relation to our traditional shopfronts, vernacular signage and historical streetscapes. “New shopfronts can also learn from existing traditional shopfront character. The changing nature of streetscapes has witnessed a decline in traditional shopfronts and vernacular signage due to issues such as a lack of appreciation, increased vacancy and dereliction, and inappropriate over-development of the ground floors of historic buildings. The nature, scale and placement of modern signage and advertising can be visually intrusive and can detract from the built heritage of our streetscapes. Seminar participants will receive a free information pack and a light lunch and refreshments will be provided. The event is free but booking is required and early booking is strongly recommended as places are limited.